Washington (AFP) - The United States will step up its troop presence in Eastern Europe in response to "an aggressive Russia" by deploying an additional armored brigade, the US military said Wednesday. Continuous rotations of the brigade beginning in early 2017 will bring the US Army's presence in Europe to three fully manned combat brigades, the US European Command said. A brigade comprises about 4,200 troops. 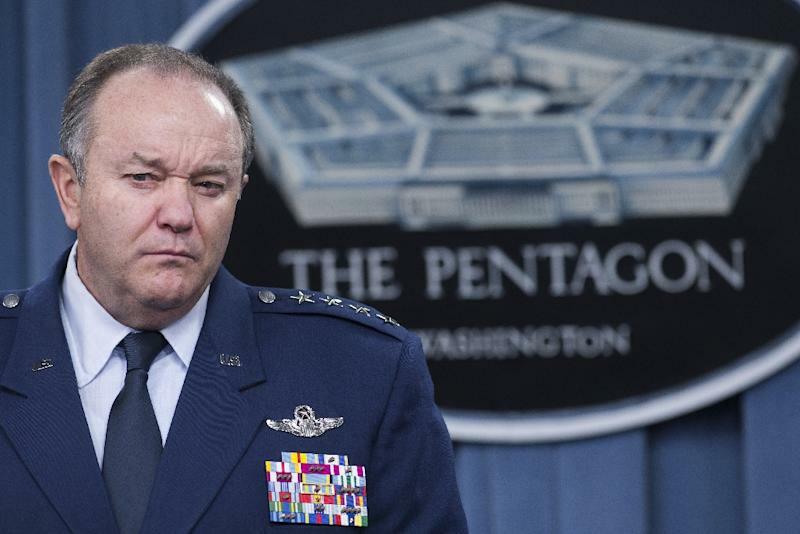 "This army implementation plan continues to demonstrate our strong and balanced approach to reassuring our NATO allies and partners in the wake of an aggressive Russia in Eastern Europe and elsewhere," General Philip Breedlove, the top US commander in Europe, said in a statement. "Our allies and partners will see more capability," he added. "They will see a more frequent presence of an armored brigade with more modernized equipment in their countries." Defense Secretary Ash Carter last month unveiled the Pentagon's proposed budget for next year, which includes $3.4 billion -- quadruple last year's amount -- for operations in Europe. The cash will fund the so-called European Reassurance Initiative, which aims to deter Russia from carrying out additional land grabs after its 2014 annexation of the Crimean Peninsula. "These efforts demonstrate strong alliances and partnerships backed by demonstrated capability, capacity and readiness to deter aggression," Pentagon spokeswoman Laura Seal said. "We have been clear that we will defend our interests, our allies and the principles of international order in Europe." The Pentagon's beefed-up European presence means US forces will increase military exercises with ally countries and train with new equipment. An armored brigade combat team includes approximately 250 tanks, Bradley Fighting Vehicles and Paladin self-propelled howitzers, plus 1,750 wheeled vehicles. 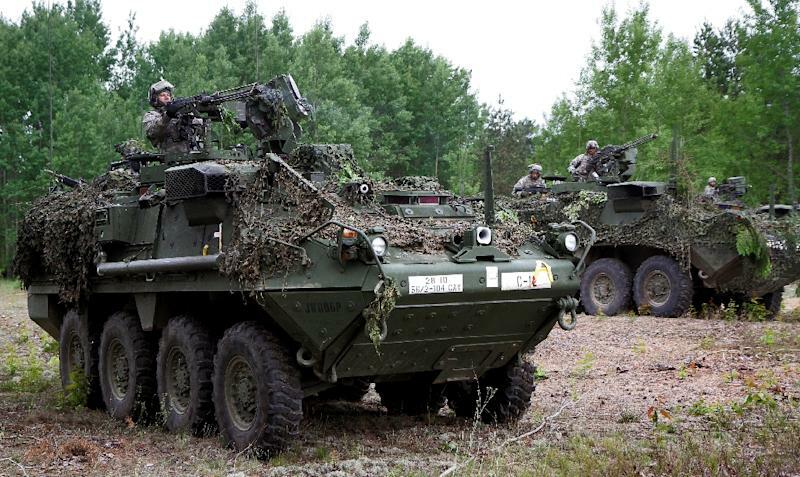 Each armored brigade will be deployed for nine months and bring its own gear. Equipment already in the region will be repaired and upgraded, then stored in Belgium, the Netherlands and Germany, the military said. Eastern European leaders welcomed the move. Latvian Defense Minister Raimonds Bergmanis said the deployment bears out commitments made by President Barack Obama in a speech in the Estonian capital Tallinn in September 2014. "This decision is particularly important after President Obama's statement," he said. "Then, the US president said that Tallinn, Riga and Vilnius are just as important to protect as Berlin, Paris and London." Russia has repeatedly warned against the permanent positioning of substantial forces from NATO along its border. And some NATO members, like Germany, have been skeptical about any substantial permanent deployment, saying it could breach a 1997 agreement between the military alliance and Russia. But the new US deployment avoids the issue because it is not technically permanently stationed in Eastern Europe, with brigades rotating in and out, US officials say. Russia annexed Crimea in 2014 and has been supporting a pro-Moscow separatist conflict in eastern Ukraine.